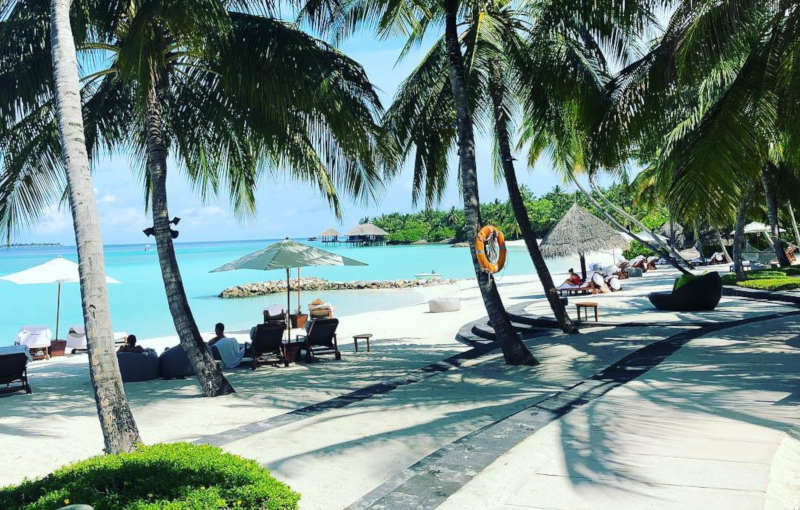 The beautiful Republic of the Maldives is the alluring island holiday destination in the Indian Ocean consisting of a double chain of twenty-six atolls that lie between the Chagos Archipelago and Minicoy Island. The island nation is more water than land. 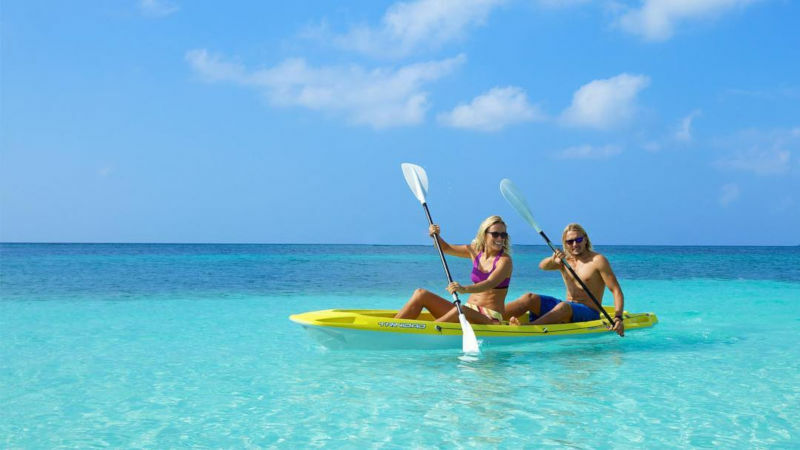 It’s no surprise then that water sports are one of the popular things to do in the Maldives. The warm waters surrounding the country are so clear that you can see the fish passing by as far as 50 metres away! There are thousands of species to view while diving here, such as barracudas, manta rays and napoleons. An absolute must! 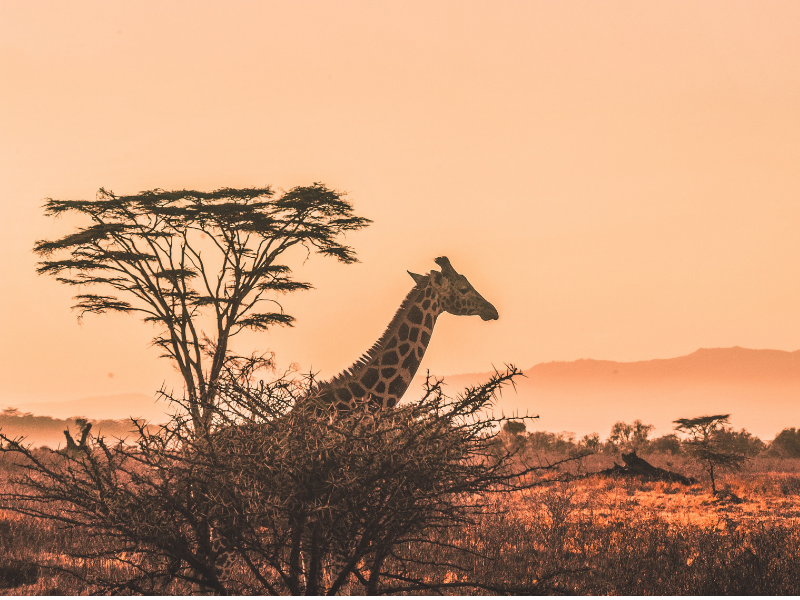 The country is also a dream come true for experienced and aspiring surf-enthusiasts, especially from June to September when the monsoon weather brings massive swells. The breaks of the North and South Male Atolls are the most popular and surfers from around the world travel there to experience it. Maafushi, Meeru and Thoddoo also provide the perfect conditions for thrilling experiences above the waterline, with opportunities for water-skiing, kiteboarding, jet-skiing, flyboarding, stand-up paddle boarding and more. 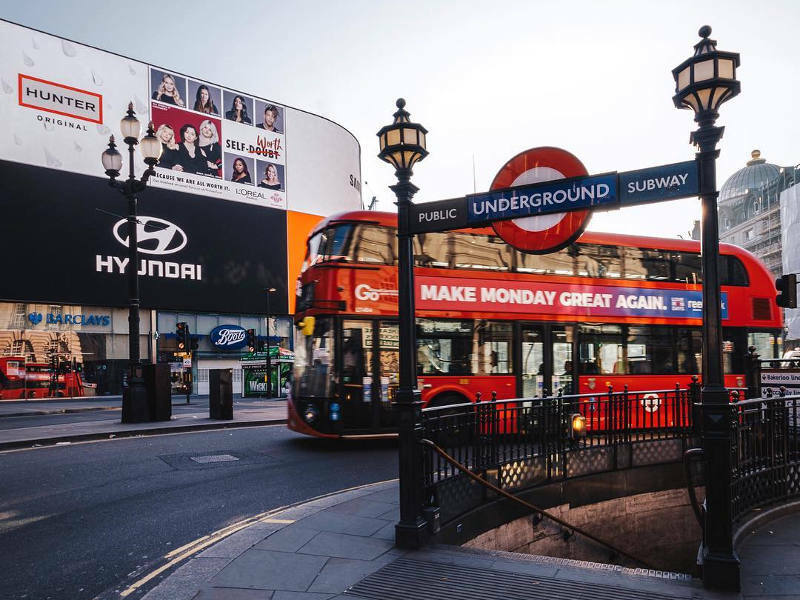 Don’t miss out on the chance to enjoy day tours around the islands and visit the more modern areas. Many of the resorts in the Maldives offer you the chance to explore the country’s seemingly countless islands. 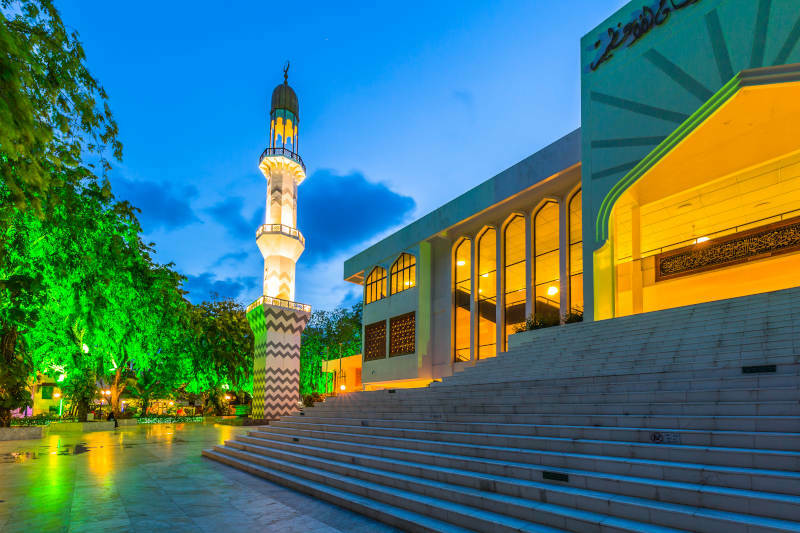 You could go on walking tours around the island of Malé, exploring markets, discovering historical sites and admiring the grand historic architecture. For more adventurous things to do in the Maldives, go island hopping with amazing boat tours to the more-than-a-thousand islands, including Hulhumalé, Baros, Adaaran Prestige Vadoo, Rasdhoo and Thinadhoo. The day tours around the Maldives are known for scenic cruises, awesome photo opportunities and catching sights of more of the marine creatures around the islands. The mesmerising beaches of the Maldives speak for themselves, with their clear waters and pristine white sands. They’re the perfect solution for anyone looking for relaxing things to do in the Maldives. There’s the tiny island of Reethi Rah¸ home to 12 incredible beaches that will have you longing to escape to paradise. There are also endless resorts, which are tailor-made for different travellers, including families, kids and adults only. Many of the beach resorts in the Maldives feature spas and wellness centres, where you can just relax. If you really want to wear your bikini (with the Maldives being an Islamic nation), head to Rasdhoo and discover a small yet charming stretch of coastline where you can enjoy your holiday stay as you wish. Simply relax and unwind as you drift away from your everyday life. On the island of Malé, don’t miss out on the chance to explore Artificial Beach. As the name implies, it’s a man-made beach that was created due to the island not having any beach of its own to compare to those of the other islands. While it has the calm waters the Maldives are known for, visitors and locals head to Artificial Beach to watch water sports, live concerts and carnivals! 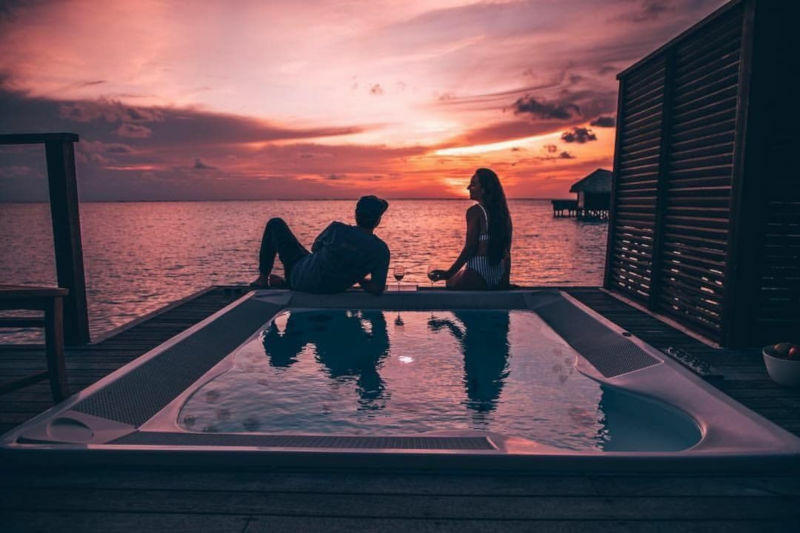 While the country is generally seen as a honeymoon destination, that doesn’t mean there is no nightlife scene to add to your list of things to do in the Maldives! 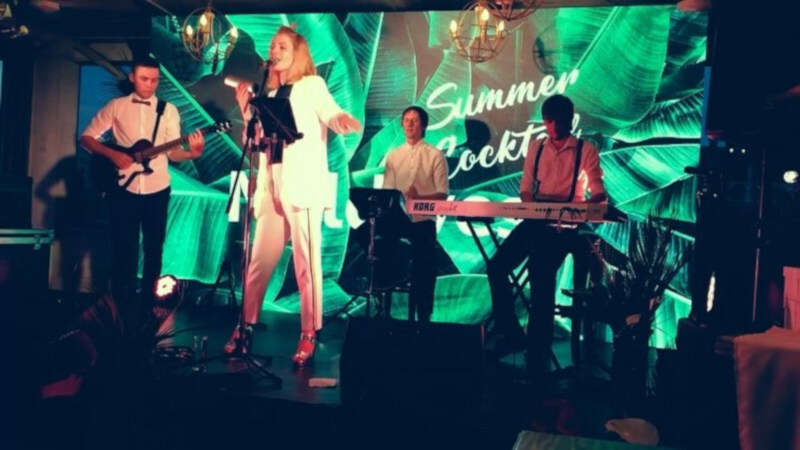 At the 4.5-star Kurumba Maldives Resort, enjoy jazz performances, DJ nights, dance nights and live bands every night. Another top-rated resort, Kuredu, has a White Night party every Friday night. Don’t miss out on this party scene and help recreate the magic of a true tropical island experience as you dance under UV lights. One of the most iconic parties you must attend is the Underwater Party at Subsix in the Per Aquum hotel. As the name implies, you’ll be heading six metres below the sea to the biggest underwater nightclub in the Maldives! Enjoy delicious delicacies as you watch the various creatures swim by outside. Seaplane photo flights are a delight and a great way to see the islands from above. There’s nothing like viewing the Maldives from the sky. It’s one of the many thrilling things to do in the Maldives. 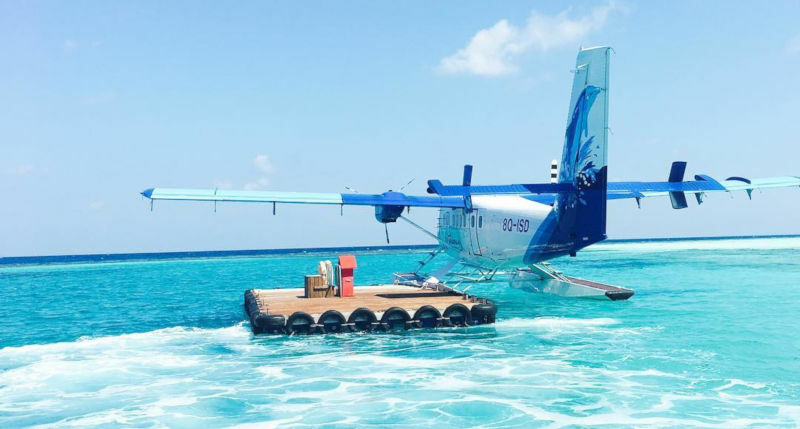 You can catch a seaplane as part of your transfer when landing at any airport in the Maldives. A definite once in a lifetime opportunity! You may be surprised upon arriving in the Maldives that you’ll be transferred by seaplane. These are just a few of the many fun and memorable things to do in the Maldives. You’ll definitely discover more of what this archipelago of islands has to keep you returning. Find out when you should visit the Maldives. Find out more about cheap flights to the Maldives with Travelstart! Subscribe to our newsletter to get more information on the latest deals and travel tips. What do you think you’ll be doing in the Maldives? Let us know in the comments!